In recent years the automotive industry has developed new and innovative methods to increase the amount of time that a vehicle spark plug will last. The manufacturers at Audi are no exception to this rule. Regardless, the amount of time the spark plug on your Audi will last is still significantly affected by both the specific way in which you drive and the conditions of the roadways you are driving on. The goal of this article is to provide you with the information necessary to determine when your spark plug needs repair. Servicing spark plugs on your vehicle is an important part of any long term Audi maintenance strategy. 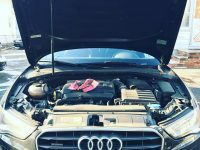 In this article we will discuss common Audi spark plug problems and how an experienced Audi auto mechanic can help to solve these problems. As the spark plugs on your Audi suffer inevitable wear and tear you may begin to have difficulty starting your vehicle’s engine. Spark plugs are a key factor in the complex series of steps that take place to ignite your engine. If your spark plugs are malfunctioning, failing reaching a high enough temperature, then your engine will likely struggle to turn over. A licensed automotive professional will be able to determine whether the failure of your Audi engine to start is being caused by malfunctioning spark plugs or some other issue. Instances of engine misfire can be caused by various issues with your Audi. However, spark plug failure can cause engine misfires to occur more frequently. A qualified car mechanic will be able to clarify the source of engine misfire. If you begin to notice a decrease in the power and speed of your Audi’s acceleration the problem could be caused by degrading spark plugs. Worn out spark plugs can reduce the optimal performance of your Audi. Engine efficiency can be negatively impacted, specifically in relation to ignition and fuel combustion processes. This can significantly reduce the amount of miles your Audi gets to the gallon. The two main factors that cause issues with spark plugs are engine oil contamination and an overheating engine. It is important to be aware of problems in your Audi and to have a skilled auto professional mechanic who can assess your Audi and maintain its standard of quality. 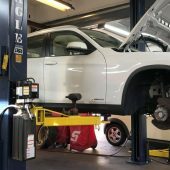 Bring to your mechanic’s attention troubling issues immediately! We understand it’s not easy taking care of your vehicle--it can take up a lot of your time and can be very expensive. 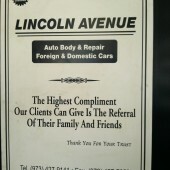 At Lincoln Ave Auto, in Fair Lawn New Jersey, we specialize in Audi and European auto repair. 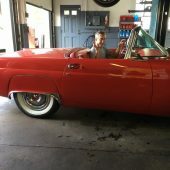 As one of Northern New Jersey’s leading European Auto Specialists, our clients from Franklin Lakes, Saddle River, Wycoff and Glenn Rock, keep returning to take advantage of our European Auto Repair expertise with more affordable costs than dealerships and other shops. If you are experiencing the issues with performance and reduced gas mileage we discussed and need to address them by replacing worn out spark plugs, please call us right now to schedule a maintenance appointment with our licensed automotive experts. 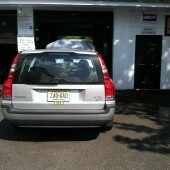 Here at Lincoln Ave Auto keeping your car at peak performance is our goal and commitment to you.